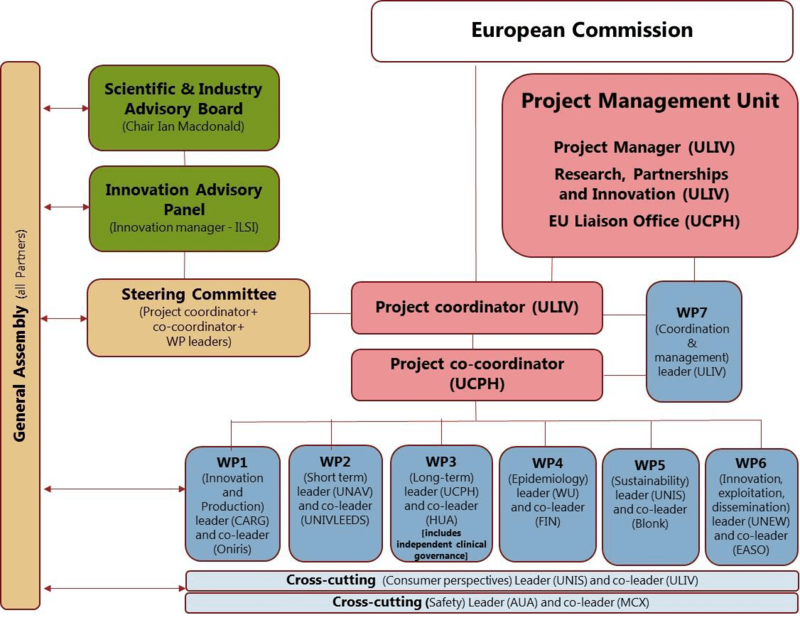 This 5 year multidisciplinary project engages stakeholders from across the food chain – consumers, patients, health professionals, scientists, policy makers, and regulators – to address the role of sweeteners in weight control, and potentially move viable products to market. Stakeholders, including consumers, patients, health professionals, scientists, policy makers, and regulators will engage in the project. Given the contribution of dietary sugar in the development of obesity & cardio-metabolic disease (contributing to energy density & actively promoting overconsumption generating a positive energy balance) the European food industry is obliged to meet ambitious targets for sugar reduction across the whole diet. The WHO recommends that the intake of free sugars should be no more than 10% of the total energy intake & some European countries are considering recommending a reduction to 5%. However, with current levels of sugar consumption in European adults ranging between 15 & 21%, and few individuals currently meeting the proposed reduction to <5% (e.g. only 2% in Netherlands), this poses a significant challenge across the food & beverage sector. 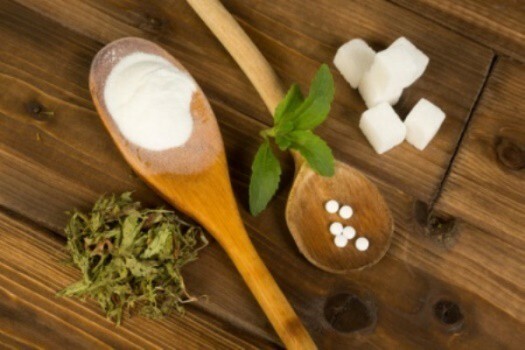 Alternative forms of sweeteners such as artificial/natural/non-nutritive/lower calorie sweeteners, along with sweetness enhancers, provide an opportunity to remove calories in the form of sugar while maintaining the appeal & commercial viability of popular products for the consumer. However, as dietary recommendations for a healthy diet do not include S&SEs, the role of such products in weight loss, weight maintenance & overall health remains unclear. Overall objective: To examine the barriers & facilitators to the use of sweeteners & sweetness enhancers (S&SEs) & examine the likely risks & benefits of using them to replace sugar in the diet in the context of health, obesity, safety & sustainability. 1. Select new & emerging S&SEs & blends, & through integration of technological expertise produce a range of innovative S&SE containing products of appeal to distinct demographics (e.g. age, region, gender). 2. Develop a platform of measures (e.g. self-report, biological, cognitive, consumer questionnaires), including new tools, to examine the impact of replacing dietary sugar with S&SEs & validate against new urinary biomarker assays. 3. Determine the role of individual differences (both behavioural e.g. eating behaviour traits & biological e.g. taste receptor polymorphisms) in shaping food preferences & consumption patterns of distinct populations, & examine biological mechanisms underpinning these. 4. Assess the short term effect of specific S&SEs & blends & the prolonged impact of a whole diet approach on body weight, health, satiety, microbiota, biobehavioural processes & consumer perspectives & preferences. 5. Synthesise evidence from diverse European longitudinal data sets to examine the relationship between habitual S&SE use & obesity, health & safety in key geographic & demographic cohorts. 6. Examine the economic, environmental & social sustainability of replacing sugar with S&SEs across production, supply, consumption & waste (life cycle sustainability assessment) in the context of global supply chains using project case studies. 7. Assess the potential toxicology, allergenicity & safety (microbiological, gastrointestinal (G.I.) side effects, microbiota & other adverse effects) of specific novel S&SE combinations & of the whole diet approach. 8. Review the regulatory barriers to innovation & tailor exploitation plans & dissemination accordingly. ILSI Europe is involved as a dissemination partner and Innovation Manager in Work Package 6 (Innovation, Exploitation & Dissemination), which aims to identify & effectively engage with relevant stakeholders (adults and children) to understand perceptions of the role of S&SEs as part of a healthy diet & identify barriers & factors that could facilitate increased use of S&SEs. As participant in the WP6, and leader of Task 6.6 ‘Innovation advisory panels’, ILSI Europe will be in charge of organising two stakeholder workshops.SWEET’s full impact plan will be co-developed with stakeholders and informed by Innovation Advisory Panels, which will meet once a year to update on project progress and changing business and policy contexts, and co-produce novel approaches to tackle obesity while improving sustainable food security, based on findings from previous WPs.